This tutorial explains, how to integrate PayUBiz payment gateway with in your Android Application. PayUBiz is a B2B payment gateway provider that used to collect online payment. PayUBiz provides Web API and Mobile SDK to integrate Website and Android App to collect online payment. In this type, we are using PayU SDK’s UI and flows during the transaction. On the SDK payment option, customer will need to select the payment option and fill the respective card details. After this, SDK will launch the desired bank webpage (on the native webview) for further authentication. In this type, we will design our custom UI to collect customer details and pass it to the PayU SDK by calling appropriate APIs which then launches the selected bank webpage. This tutorial explains about Non-Seamless Integration. To integrate PayUBiz, you need to create an account on PayUBiz. It provides Merchant Key and Salt that will be use in Android App. 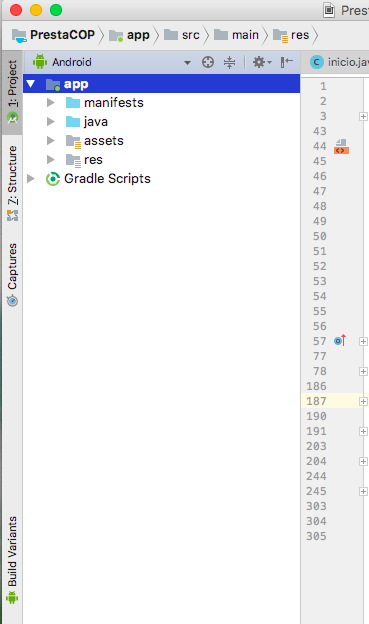 Create a new Project in android Studio goto File ⇒ New ⇒ New Projects. We need to add sdkui as module in your project. Download PayUBiz SDK and follow below step to add as a module. Right click on the app go toNew ⇒ Module and select Import Gradle Project then click on the next button then browse to your sdkui directory then click on finish button. We need to compile SDKUI module, so add below code in the dependency of build.gradle(app module) file. Add merchant key and salt as constant. We need to set Instance of PayU and set Environment of PayUBiz to make successful Payment. We need to add data to PaymentParams. * These are used for store card feature. If you are not using it then user_credentials = "default"
* user_credentials takes of the form like user_credentials = "merchant_key : user_id"
* user_id = unique id related to user like, email, phone number, etc. IF you do not have any data to set field like Product description, Product Discount, UDF1 – UDF5(User Define Fields) fields then put empty string “”. For successful transaction, it is compulsory to set Hash Key. You can generate has key From Mobile SDK or send above data to Your Web Service to generate Hash Key. Using below code, you can Generate Hash Key from App. Now we just need to pass above data to PayUBaseActivity using intent. This will open Payu payment UI. After you have completed the above steps, you should be successfully redirected to the payment gateway page. From Where do I get the SDKUI gradle project? PayuConstants.GET_MERCHANT_IBIBO_CODES is depricated. Will it make any effect?